Seed catalogs be overwhelming - but Modern Farmer can help. Photography Photo by Aliza Eliazarov. 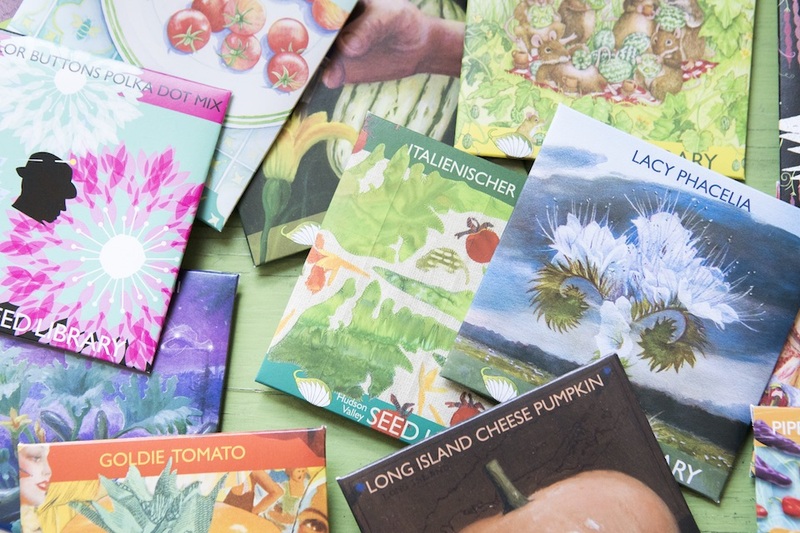 To help guide novice growers through the romantic process of seed selection and garden planning – and temper the irrational urges of experienced growers who may suffer from seed-shopping addiction – Modern Farmer has put together this short tutorial. Happy picking! Non-GMO: Seed that is not produced with genetic engineering techniques, which includes F1 hybrids, open pollinated varieties, heirlooms, and any seed with a certified organic label; most retail seed companies advertise their products as non-GMO, but the truth is that there are virtually no GMO seeds on the market that are available to home gardeners – in North America, GMO seeds are used almost exclusively in the context of industrial agriculture. Warm season vegetables (squashes, tomato family plants, cucumbers, basil, beans, corn, melons, etc) die with the first frost of the year, so they must ripen and be ready for harvest within the frost-free window. Cool season vegetables (lettuces and most other leafy green vegetables, along with broccoli, carrots, peas, cabbage, and most root crops) survive light frosts, but fade away in summer – unless you live in a northern, coastal, or high-elevation environment with cool summers. In places with hot summers, cool weather vegetables are grown during the spring and fall only. The “days to maturity” indicated on seed packets and in seed catalog listings gives you an idea of what will grow well in your area. Crops that require more than 90 days to maturity generally don’t fare well in places with short, cool summers, which include many heat lovers like tomatoes, corn, and melons. This is not to say that these crops need 90 frost-free days – they thrive in places that have six months or more of frost-free weather – it’s just that the number of frost-free days gives you an idea of the relative warmth, or coolness, of the climate. Seed companies are increasingly making use of the heat zone ratings published by the American Horticultural Society, which gives an even more nuanced picture of which crops thrive where. Seeds will keep for a few years if stored in a cool, dry, dark place, but a $3 pack of lettuce seeds may have 500 seeds in it, so the average family has a multi-year supply in each pack. Buy six different types of lettuce for variety, and you’ll have far more than you can plant before the seeds go bad. For this reason it’s best to stagger your seed purchases over several years, trying out a couple new varieties of each type of vegetable per year – that way you’ll always have lots of variety, but won’t let as many seeds go to waste. If you’re a new gardener – or are just looking for an easy harvest – stock up on seeds for the most forgiving, low-maintenance crops. There is plenty that can go wrong with crops like tomatoes, squash, corn, broccoli, and bell peppers, while peas, beans, radishes, beets, turnips, basil, and arugula reward even brown-thumb gardeners. Aim to have a balanced mix of the types of vegetables you like to eat in each month and order some flower seed to intersperse with your veggie plantings – they help to balance out the scraggly appearance of some vegetables and many flowering plants also help to attract beneficial insects (those that prey on garden pests). Finally, think about how much you’ll actually use of different types of vegetables and plan accordingly. A couple robust tomato plants can produce way more than a family can eat fresh, for example, but you can make the harvest more manageable by planting a variety of tomatoes for different purposes – fast-maturing cherry tomatoes for snacking and salads, big “beefsteak” type tomatoes for slicing, and “Roma” type tomatoes for canning and making sauce. The best seed companies to buy from are often small, regionally based operations that specialize in the traditional varieties that are known to thrive in your particular climate and soil type, though there are numerous national companies with a large selection of seed suitable for all regions of the country. Seed quality varies greatly, and 99-cent seed packets are notorious for low germination rates. You get what you pay for, and as with produce in the supermarket, seeds saved from crops grown using organic and sustainable methods command a premium. Seeds that come in resealable packets to preserve viability are worth paying extra for – though storing your seeds in a lidded mason jar also keeps them fresh. Search this database of seed sources to find seed companies in your geographic area, or check out some of Modern Farmer‘s favorite seed companies below.